We welcome novelist Karan Mahajan this week. His latest is The Association of Small Bombs (Viking USA, 2016). Writing on the Air is broadcast Wednesdays from 6-7 pm CST. You can listen live online by clicking here, or you can head over to TuneIn. In Austin, Texas, we’re on the radio at 91.7FM KOOP. We invite you to check out our previous interviews — try the search bar, or simply scroll through the shows below. If you’d prefer listening to our iTunes Podcast, you can do that, too. We are also on Facebook and Twitter. Thanks for listening to our show. Karan Mahajan was born in 1984 and grew up in New Delhi, India. 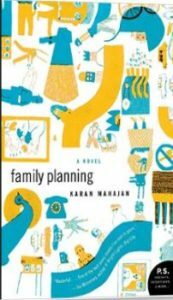 In 2008 he burst onto the literary scene with his celebrated debut novel Family Planning (Harper Collins, 2008), a funny, eyebrow-raising indictment of Indian culture. Published in nine countries, Family Planning won the Joseph Henry Jackson Award and was a finalist for the International Dylan Thomas Prize. His second novel, The Association of Small Bombs is a finalist for the National Book Award. The novel came out in March with Viking USA and is forthcoming from Harper India and Chatto & Windus UK. 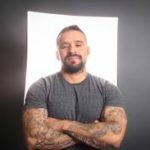 Karan’s writing has appeared in The New York Times, The Wall Street Journal, The New Yorker Online, The Believer, NPR’s All Things Considered, The San Francisco Chronicle, Granta.com, Bookforum, Tehelka, and the anthology, Stumbling and Raging: More Politically Inspired Fiction. 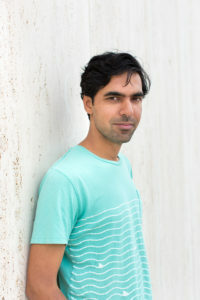 Karan has worked as an editor in San Francisco, a consultant on economic and urban planning issues for the New York City government, and a researcher in Bangalore. 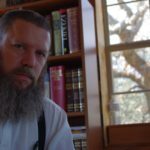 A graduate of Stanford University and the Michener Center for Writers, he currently lives in Austin, Texas. He is at work on his third novel. *One of the most anticipated books of 2016 on Buzzfeed, The Millions, Flavorwire, Goodreads, Huffington Post, Chicago Tribune, Travel+Leisure, Brooklyn Magazine, and The Week, among others. 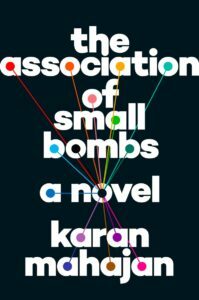 A bomb in a Delhi marketplace sets off The Association of Small Bombs, a novel about the ways in which tragedy reverberates. In the bombing, the Khuranas, who are Hindu, lose both their sons while the son of the Ahmeds, who are Muslim, survives. While both families are largely secular, religion becomes increasingly important as the plot develops. As additional characters are introduced—the actual bombers, the imprisoned suspects, and activists who insert themselves into the tragedy—emotional and physical scar tissue drives crucial decisions in this daring book. For more information, you can visit karan-mahajan.com, plus you can keep up with him on Twitter.